By utilizing better materials, one can often shed weight. 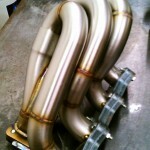 Such is the case with this 321 stainless header designed here at MPFab. 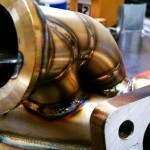 Typical turbo manifolds use a lower grade of stainless, often 304. 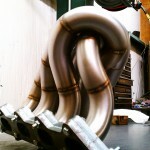 In order for 304 to live in a turbo environment reliably, the wall thickness has to be increased. The subsequent increase in wall thickness adversely effects the overall weight of the part. 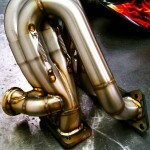 By using a higher grade stainless such as 321, the wall thickness can often be reduced by half. This in turn yields a part that is roughly half the weight of the original while maintaining the superb thermal properties of the higher grade material. 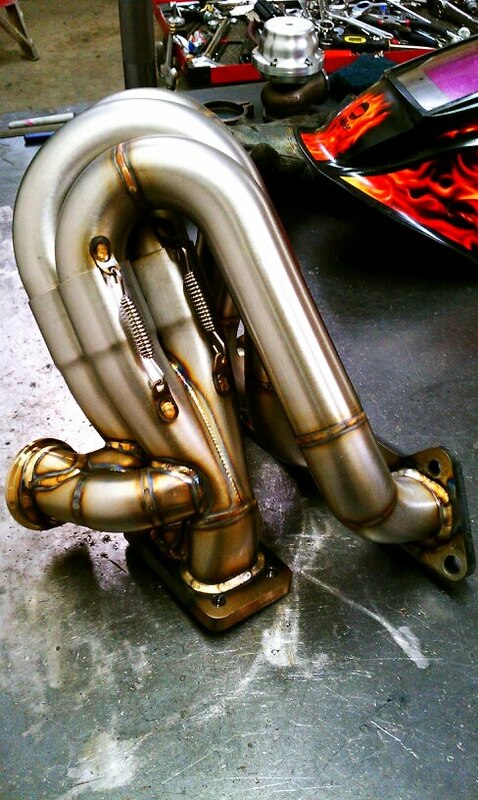 The 321 stainless manifold pictured here has a wall thickness of 0.065″. 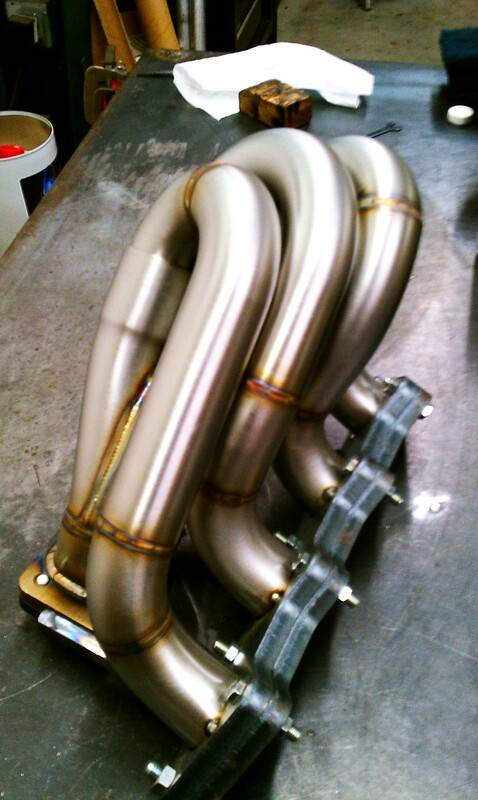 This is down from the typicall.120″ wall thickness of a 304 stainless header. 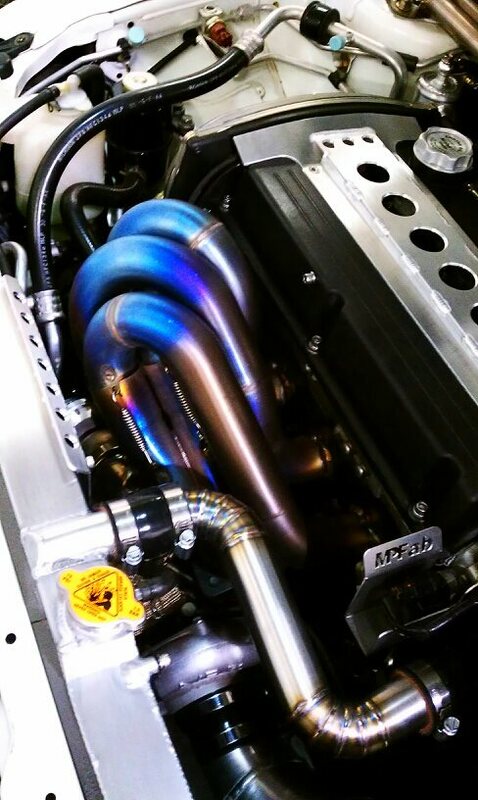 It is a twin scroll configuration to aid turbo spool-up, and uses a shallow angle slip-on merge collector to facilitate smooth and efficient exhaust flow into the turbocharger. 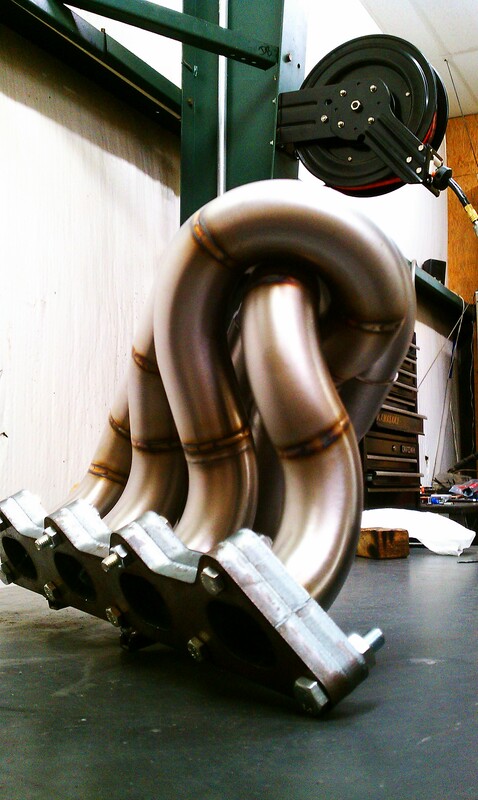 Often, a twin scroll turbo manifold will be set up to use two wastegates for boost regulation. The divided cylinder pairing means there are two distinct portions of exhaust gas being focused on the turbine wheel. 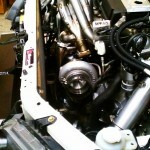 In order to vent all of the cylinders evenly, many people choose to mount two wastegates to the collector of the turbo manifold. This adds expense and weight to the design. 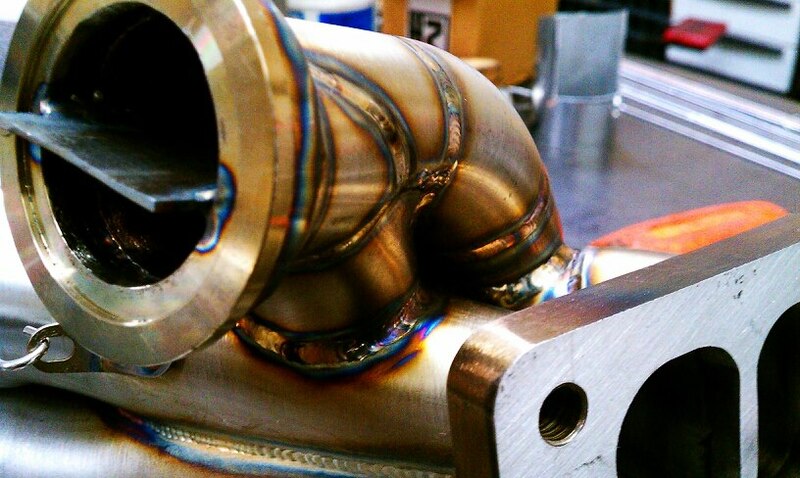 If done correctly, a single wastegate may be utilized, and it’s performance will match a dual wastegate set up with half the parts and half the weight. 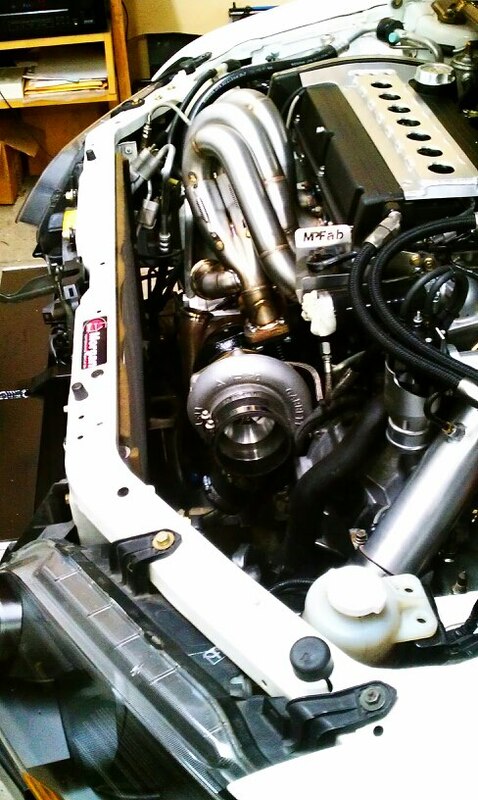 At MPFab, we like using a single wastegate configuration, and have done so many times with great success. This honestly gets to me. I simply wish I could be able to write as passionately as you.